Dating sites like eharmony, use sophisticated algorithms and comprehensive personality tests to match compatible people. You might think the more sophisticated the site, the higher the cost, but the good news is that eharmony is completely free to sign up and offers competitive subscription plans if you want to boost your membership. Find out everything you need to know about eharmony and how to make it work for you. If you want to sign up to eharmony, you won’t need to dig into your pockets. Signing up is free and all you need is a little time on your hands. You can sign up and create a personal profile before taking the compatibility test. The test is made up of a thorough questionnaire, which will take approx 35-45 minutes. The site then uses its unique matching system to decide on the factors that predict successful romantic connections, including identifying complementary traits, similarities, and differences. As soon as you’ve finished the test, the site will already have some suitable matches for you to browse. eharmony is for anyone looking for love, a relationship, marriage and long-term partnership. The site is open to any age, gender, and is available worldwide. eharmony’s largest demographic is people age 25 to 35 years, however it’s also one of the leading dating sites for 50+ singles. 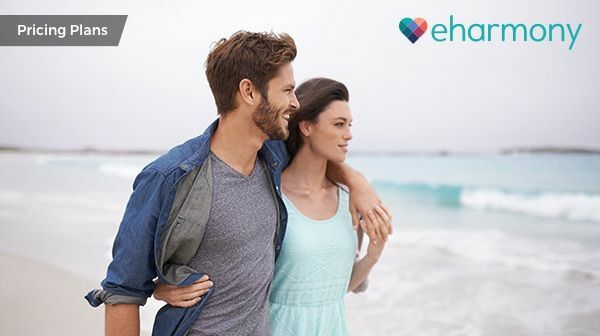 With 750,000 paid subscribers and 10 million active users, you’re likely to find what you’re looking for on eharmony. If you want to to try out the site’s features but aren’t yet ready to commit, you can find deals for free trial memberships. All you need to do is sign up and complete your profile. You must then choose a subscription plan and pay for it. Do not fear, if you try out the site for 3 days and don’t love what you see, you can cancel your account and will be refunded the full price. If you’ve signed up for the basic free membership, you can use the site but with some limited functionality. If you really want full access to eharmony, you'll need to pay for one of their three basic membership options. If you sign up to the Premier Plan, you’ll be offered the ultimate guarantee – if you don’t find your special someone by the end of your subscription, your membership will be automatically extended for free, for an additional 12 months. In addition to the regular membership prices, you can sometimes find promotional codes and special offers on eharmony’s website. There are also ‘Free Communication Weekends’ offered every few months — usually around the holidays. This special offer typically runs for 3 to 5 days, during which all members can message matches directly without paying anything. Keep an eye on the website to find out when the next weekend is taking place. There are a few ways to pay your eharmony subscription, including credit and debit cards like Visa, Mastercard, and Paypal. Like many dating sites, if you don’t turn off the automatic renewal, you’ll continue to be charged at the end of your membership term. If you have found love on the site or just want to end your subscription, make sure to turn off the automatic subscription renewal. What Do You Get with an eharmony Subscription? With eharmony there is no searching or browsing feature. Instead, the site matches you with highly compatible people and then lets you decide who to interact with. Your matches are chosen based on your personality test and profile settings - an average of 10 handpicked matches per day. An eharmony subscription will also give you access to features like the ‘What if’ game, where the compatibility engine offers you an additional 30 matches to decide on. This feature also helps the site learn more about who you are interested in. If you want to communicate or send photos to any of you matches, you’ll need to upgrade to a paid subscription. Make the first move with a match by using the ‘icebreaker’ feature or send a short message to let the other know you’re interested. Sometimes it’s difficult to craft the perfect message. Because of this, eharmony created ‘guided communication.’ This lets you send a series of pre-selected questions to your match. ‘Guided communication’ can help break the ice and let you get to know someone on a deeper level. What sets eharmony apart from all of its competitors is its proven and reliable compatibility matching system. The site is designed to encourage meaningful and lasting relationships so you can forget about random users contacting you for no reason. The only people who can contact you are ones the site thinks you’ll have a real connection with.